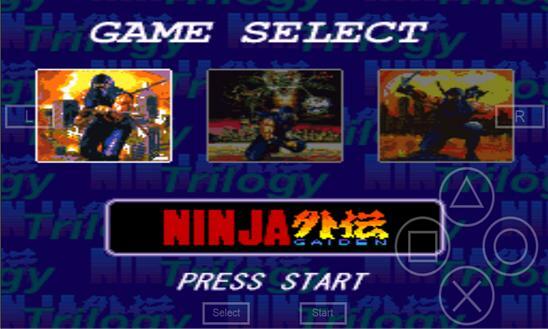 Ninja Gaiden Trilogy (忍者龍剣伝 巴 Ninja Ryūkenden Tomoe?) is a 1995 SNES collection featuring all three games. Few improvements were made, but passwords were included and the cinematic sequences were improved. The graphics were retouched and the soundtrack was updated. The third game was also made more playable by reverting the difficulty level to that of the Japanese version, with infinite continues and more reasonable damage from enemy attacks. Unfortunately, the ports suffered from slowdown, unresponsive controls, finicky hit detection, and no closing credits. Some graphical changes were made that removed parallax scrolling from the backgrounds of the levels. Other graphical changes were made to comply with Nintendo's "Family Friendly" censorship policy at the time (i.e. a pool of blood changed from red to green, and the removal of pentagrams). Fans also complained about the omission of some music tracks (including removing two pieces of music from Ninja Gaiden III and replacing the use of the stage 1–1 music in the Ninja Gaiden II pursuit cutscenes with a repeating footstep sound). Conversely, a degree of censorship was actually removed from certain parts of the script (for example, Jaquio's "Argh! He's awake" is replaced with "Damn, he's awake. "), though the retooled scripts also featured new typographical errors not found in the original translations. Despite these shortcomings, Ninja Gaiden Trilogy is a bit of a collector's item and sells for nearly $200 if still sealed. 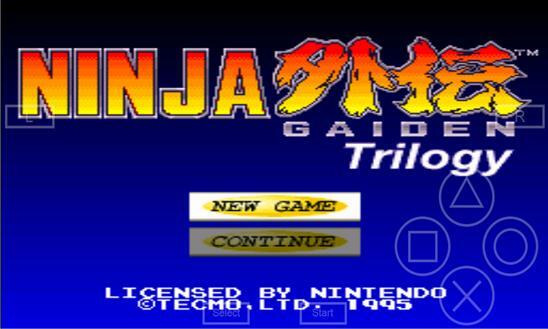 Ninja Gaiden Trilogy was included as a bonus unlockable in 2004's Ninja Gaiden for the Xbox.